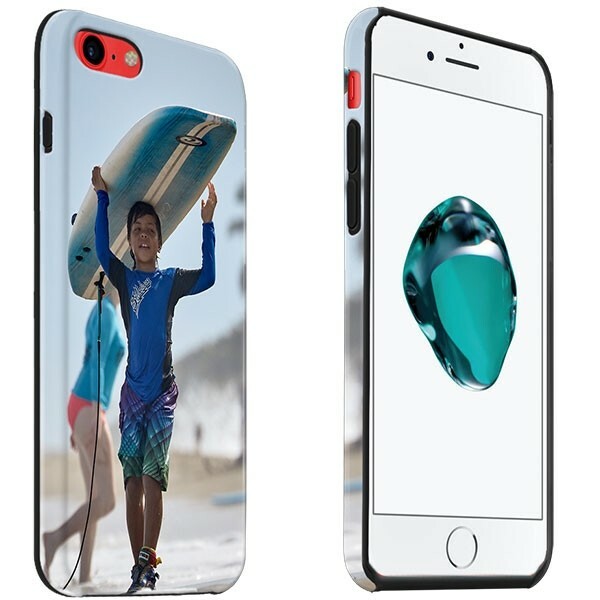 Design a solid iPhone 7 case. Extra reinforcement on the inside. Your own photo on the cover, printed around the entire case. 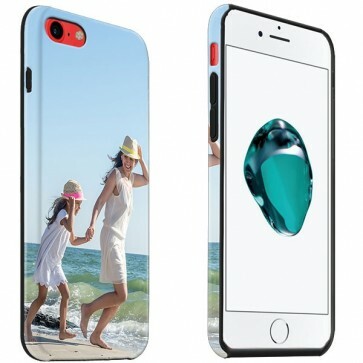 A design or photo on the case! How can you design an iPhone 7 case? Unlike some other personalised phone cases, the Tough Case is printed around the edges as well. This gives you more space to make a real masterpiece with our easy-to-use design module. Use the photos from your Facebook or Instagram page, or upload your own photos and images from your hard drive and let your creativity run free! There is also an option to insert text. That way you make that special case for yourself or for someone else. What are you waiting for? Start with an iPhone 7 case design! After you finish designing your iPhone 7 case, you are ready to order. Payment can be made with many different methods. We at GoCustomized always strive for the fastest possible delivery. Any order placed before 3pm will be sent out that same day. If you have any further questions or would you like some additional information? Our customer service is always happy to help!